Sometimes to be successful, a company must take a counter-cyclical approach and seemingly go against trends. Today’s well advanced copper and gold exploration company provides a good example of how to play a counter-cyclical angle. The company, which began trading on the ASX just last week, having raised $4M in its IPO at 20c per share, has effectively been preparing for the cycle to catch up with its game plan – which seems to be happening now. 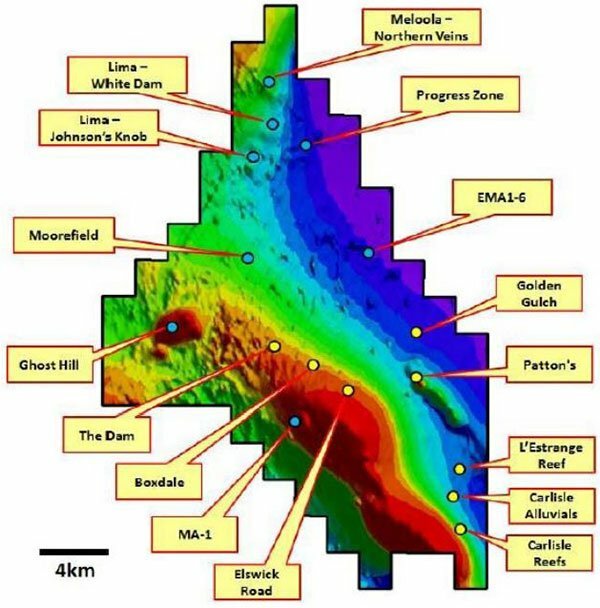 This company has four exploration projects, including seven tenements covering more than 850km2 of ground in the historic East Lachlan Fold Belt in NSW, a region that’s prospective for high grade gold, copper and base metals mineralisation. The company is chasing copper porphyry targets in the medium term, whilst also exploring for near surface gold deposits suitable for open pit mining and potential toll-treating at nearby mills. 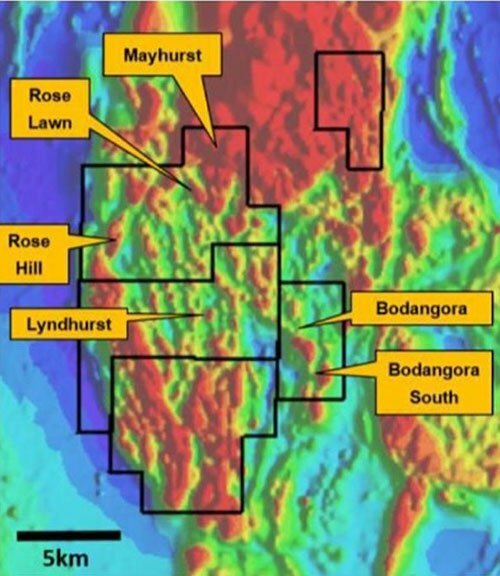 The good news for the company is that several of its prospects bear resemblance to Newcrest’s Cadia Valley, China Molybdenum and Sumitomo’s North Parkes mine and Evolution Mining’s Cowal deposit in the East Lachlan region. For those not in the know, the $15.7 billion-capped Newcrest’s (ASX: NCM) Cadia Valley Operations produced 2.4 million ounces of gold in 2016, with expectations that it has circa 100+ million ounces gold equivalent remaining. Furthermore, Rio Tinto sold its 80% stake in North Parkes for $AU$892 million in 2013 . Interestingly at the time, Sumitomo was looking to push the mine life through to 2032 and beyond. Finally, Cowal boasts 5.05Moz Au at 1g/t producing up to 300Koz per annum with a mine life of 20+ years. As you can see, today’s company is certainly in the right place, at seemingly the right time with the current Australian gold price remaining relatively stable at around the $1,700 per ounce mark. Yet the company is an early stage explorer and investors considering this stock for their portfolio should seek professional financial advice before making an investment decision. The company has been strategic in its approach to its gold and copper exploration ambitions. This is in part due to the guidance of a very experienced team that has added Malcolm Norris as NED Technical for his vast porphyry discovery experience including being responsible for leading Intrepid Mines to a 2 billion tonne discovery at the Tujuh Bukit copper-gold deposit in Indonesia, among other highlights spanning his 30 year career. The first solid strategic move for this company was to purchase four advanced exploration projects from the $41 billion Gold Fields Limited. Gold Fields is the world’s seventh largest gold producer and had already spent $13.5 million exploring these projects — hence the reason this play is in such an advanced state for a company about to start its exploration journey. Interestingly, Gold Fields retains a 20% escrowed stake in the company, meaning that this small Aussie explorer has some pretty heavy weight behind it. The company has 40 targets already identified, of which at least seven are near-surface and as we mentioned are potentially open pit gold targets close to toll treatment. Drilling at these projects began pre-IPO and assay results are due within the month. There is further drilling to come as well, now the ASX listing is complete, including numerous walk-up gold drill targets that are inexpensive and high-potential near surface projects. Giving further weight to this company’s strategy is its Joint Venture (JV) partnership with JOGMEC (Japan Oil Gas and Metals National Corporation), the Japanese government’s global metals exploration agency at its Parkes Project. The significance of this partnership shouldn’t be underestimated as JOGMEC is tasked with providing Japan with a steady flow of oil, natural gas, nonferrous metals and minerals and has obviously seen something in today’s company’s projects. Today’s company is well positioned for discovery and with plenty of fodder for news flow in the near and medium term, this well advanced explorer is looking to turn history to its advantage. Magmatic Resources Limited (ASX: MAG) has debuted on the ASX after spending time earlier this year road-showing its projects to institutional and sophisticated investors. As this article explains, MAG’s listing is well timed as the commodity resurgence gets underway. MAG has four projects inclusive of seven tenements, all within NSW. 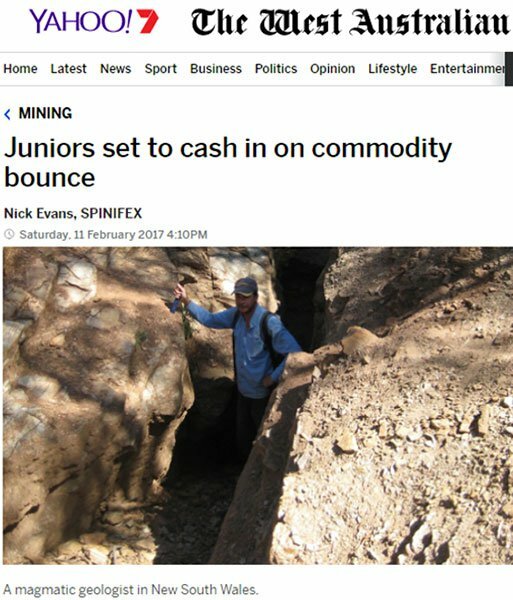 Usually, juniors look to raise capital to identify drill targets... in this case, having taken over 80% of its copper-gold prospects from the $41 billion dollar South African giant Gold Fields, millions of dollars in exploration work has already identified 40 targets. Gold Fields isn’t entirely out of the picture. You see, the resources downturn of 2012-2013 saw Gold Fields divest its 80% stake in the projects, but having spent $13.5 million in exploration already, it wanted to keep its toe in the water and ride out the market conditions. 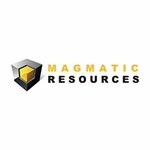 This has presented several advantages for MAG, which after taking its 80% stake, also inherited Gold Field’s fully equipped exploration office in Orange, previous samples over 200,000 metres of core and several advanced stage targets as well as terabytes of exploration data. MAG’s MD David Richardson, with over 20 years experience in Japan, then negotiated a JV with JOGMEC for the Parkes Project. The four projects now in MAG’s possession consist of Moorefield, Parkes, Myall and Wellington... each boasting nearology to major deposits in the region including the 8.4Mt Cu, 43Moz (including the 100 million ounce gold equivalent) Au Cadia Valley, 2.8Mt Cu, 2.9Moz Au North Parkes and the 5.05Moz Au Cowal. So now you have your bearings, let’s look at the projects in more detail. A 15-hole drilling programme is already underway at MAG’s Moorefield project. That’s right, why wait for the IPO to begin drilling? There’s no need when you’re as confident as MAG is. Which means that assay results are imminent and expected within the month. The Moorefield project includes never drilled targets and four key prospects: Boxdale, Carlisle Reefs, Patton’s and Ghost Hill. Ghost Hill : Shallow skarn hosted polymetallic target with a large 2.5km x 1.5km magnetic anomaly. Minor shallow drilling returned 6m @ 1.3g/t Au, and 6.25m @ 1.08% Zn. That’s four different avenues for MAG to release positive early news, and trigger some near-term share price movement. For those unfamiliar with the term, a porphyry copper deposit contains both copper and gold, in orebodies formed from hydrothermal fluids that originate from magma chambers several kilometres below the deposit itself. Newcrest’s Cadia Valley is the third largest gold-copper porphyry in the world, and Australia’s largest underground mine with a mine life of over 30 years. It produces 2Moz of gold and 75Kt copper per annum . MAG’s Myall project is analogous to the Cadia Valley porphyry — take note. Another example is La Escondida mine, a JV between BHP-Billiton (57.5%) and Rio Tinto (30%), among others. 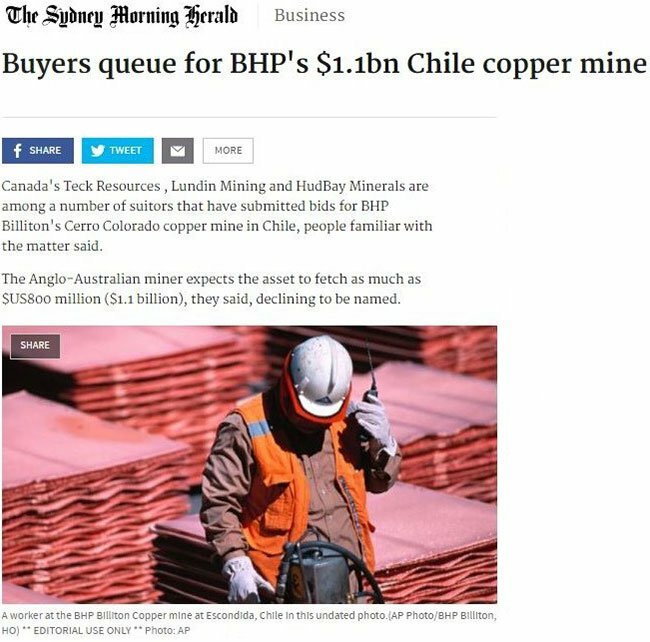 It sits on a massive series of adjacent porphyry copper deposits... all in all contributing 2.5% of Chile’s GDP! Discovering just one porphyry could be a king-making move in the metals business, and MAG has three porphyry Projects. Despite being underexplored, MAG’s Myall, Wellington and Parkes Projects have been shown to contain highly prospective porphyry targets that have yielded drill intersections at grades representative of operating copper porphyry mines. Cu-Au bearing porphyry deposits are typically high tonnage and of low to medium grade (0.3 – 1% Cu). 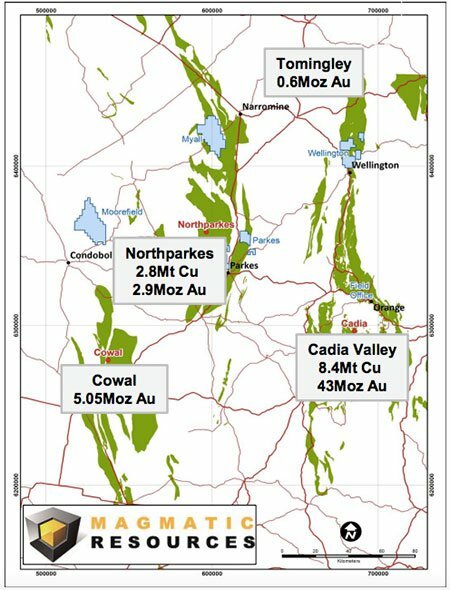 MAG’s porphyry-potential projects lie within one of the largest volcano-intrusive complexes in the East Lachlan, and are the same age and geological composition as the host rock at Cadia Valley and Northparkes, with additional Cowal-deposit gold style targets. Now it should be noted that MAG has a long way to go before reaching the levels of its peers in the area, so investors should take a cautious approach and seek all publicly available information before making an investment decision with regard to this stock. MAG’s Myall project consists of several major prospects: Kingswood, Barina, Gemini, Calais, Torana, FJ, Monaro, Camira. It sounds like a car advertisement for Holden, but for MAG this could be much more significant and some would say more successful. 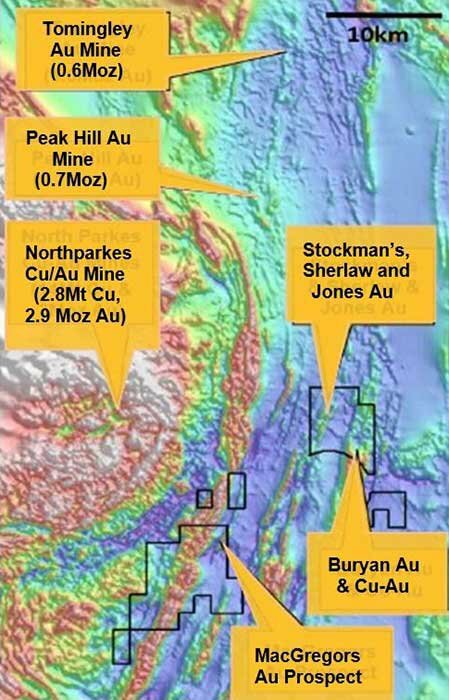 Among the tenements, exploration work has defined numerous copper-gold and gold-zinc geochemical anomalies with conducive host rocks... with past diamond drill testing has come up with encouraging results that point towards porphyry style mineralisation — the true bullseye for MAG. In terms of its Wellington project, there are several compelling prospects which can be progressed immediately — these are near-surface gold prospects — as well as three encouraging cold-copper porphyry targets. Its near-surface gold prospect in Bodangora is home to a historical mine >230koz @ 26g/t Au). Bodangora should require only minor additional geological work before target generation and drilling — providing ample opportunities for news flow not too long after MAG’s listing. – Drilling encountered porphyritic Cu-Au-Mo at Rose Hill including 71m @ 0.30g/t Au, 0.43% Cu and 57ppm Mo from surface, incl. 6m @ 0.99g/t Au, 1.47% Cu, 123ppm Mo, 8m @ 0.52g/t Au, 1.34% Cu and 10m @ 0.61g/t Au, 0.51% Cu (Rose Hill) and 239ppm Mo. 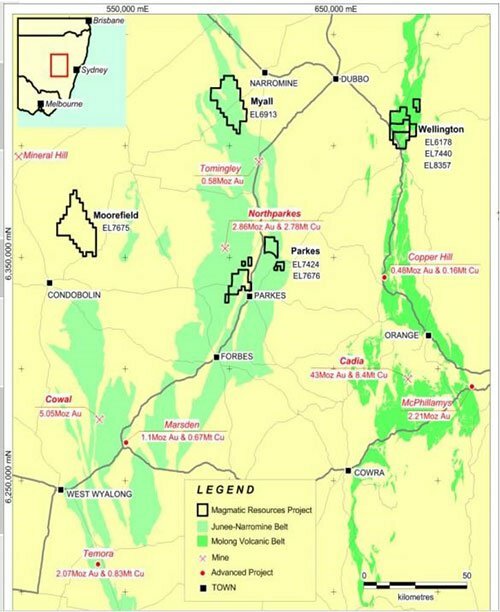 As part of MAG’s transaction with Gold Fields, it negotiated an existing JV with JOGMEC for a project in Parkes, NSW. The JV stipulates spending $1M per year on the project, and drilling is set to begin late this year. As MAG is operator of the project, it’s in a good position to drive and it has some solid pointers of exactly where it’s going to go, thanks to the existing data across the major prospects: MacGregors, MacGregors South, Buryan, Mertondale, Glenroy; Stockmans, Sherlaw & Jones. – At MacGregors shallow percussion drilling (<60m) returned 16m @ 1.22g/t Au, 4m @ 1.9g/t Au and 19m @ 0.63g/t Au while follow up drilling (2 holes for 418m) returned significant shallow gold [email protected] and [email protected]/t. An independent review of the core confirmed that alteration and rock type was similar to Tomingley (1Moz Au) in both presentation and intensity. – Two shallow percussion holes to test Au As soil anomalies at Stockman’s intersected 14m @ 1.01g/t Au from 47m and 12m @ 1.42g/t Au from 7m, incl. 6m @ 2.44g/t Au, terminating in mineralisation. Not only does MAG have a well-equipped team on the job, it has one brain in particular about which its competitors should be envious: Malcolm Norris. Norris is a senior mining industry professional with 30 years of experience in exploration across a range of locations, commodities and companies large and small. He has a Master of Science in Geology and a Masters of Applied Finance, so he’s a double threat in terms of education and broad experience relevant to MAG’s game plan. ... which at the latest count contained 27.4 million ounces of gold, 15 billion pounds of copper, and 80 million ounces of silver. That alone would be enough, however Mr Norris has also worked with WMC involved in the Tampakan copper/gold porphyry project in the Philippines, and was CEO and MD of SolGold PLC. Last but not least, he led the purchase of the Cascabel copper/gold porphyry project in Ecuador. This was secured prior to drilling following recognition of its potential from reconnaissance scale surface sampling and from there they made a giant discovery as significant as Tujuh Bukit. Overall, MAG has enormous experience, including a local geological team with intimate knowledge of East Lachlan and over 100 years combined experience in the mining industry including David Richardson who has 30 years experience building businesses and strategic partnerships in Australia, Japan and China for companies including Pacific Dunlop and Amcor and David Berrie. Berrie’s 30 years experience is significant, having worked with Western Mining and BHP. That is experience you can’t buy and certainly differentiates the company from its junior peers. 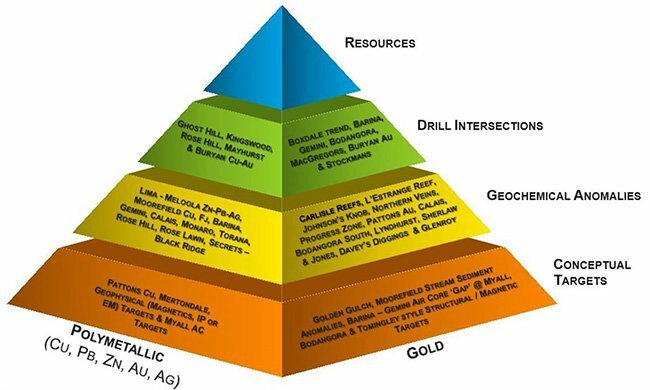 Given its location and holdings MAG could have extraordinary potential, with its multiple Au-Cu porphyry plays, as well as near-term value projects including being in possession of several projects offering potential near-surface, open-pit gold targets that can be relatively quick and cheap win. In fact MAG may just have the perfect mix of quick early success targets and price drivers combined with extensive long-term mega-mine potential. However it should be remembered that as a recently listed company, MAG remain a speculative investment and investors should seek professional financial advice if considering this stock for their portfolio. You can see the path this company is on in the pyramid below. Its major milestone is to achieve JORC Resources at its copper-gold projects and MAG hopes to do this as quickly as possible post listing. MAG has thought out its strategy well. It has backing, advanced data, highly prospective porphyry targets and the fresh glow of a newly minted ASX company. With newsflow imminent from its first round of drilling and further drilling to come shortly, we expect its initial market capitalisation could fly north sooner rather than later.